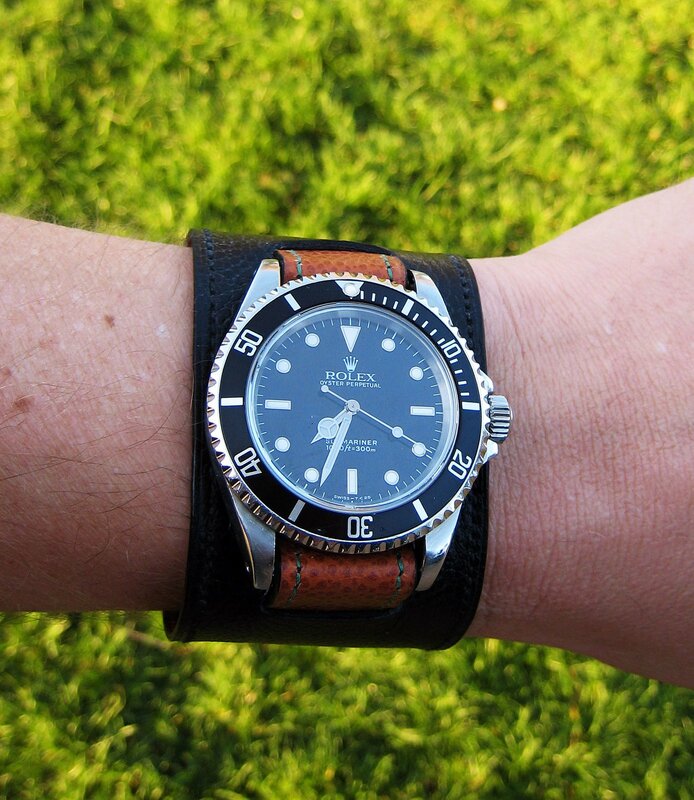 The JAKEe 6-in-1 strap is only available as a custom made strap. 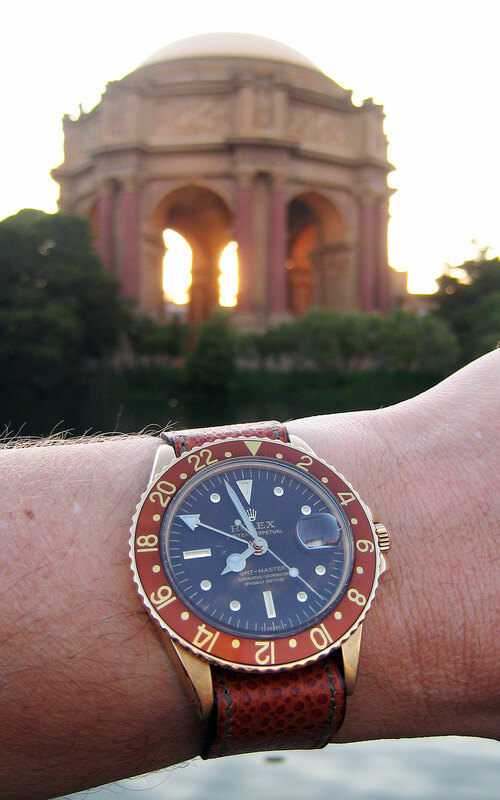 The obvious advantage is that it will fit you and your watch flawlessly and be whatever colors your prefer. 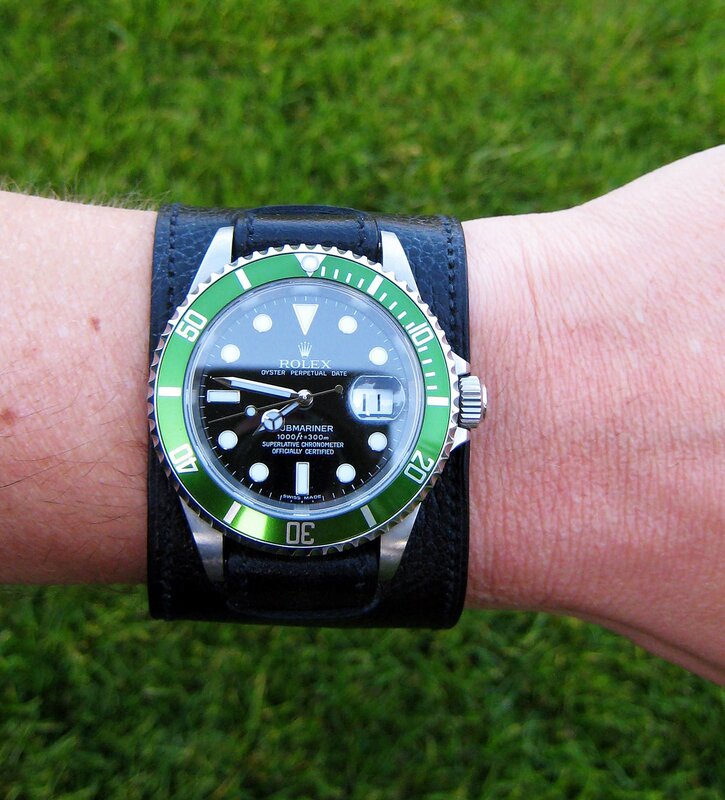 You can choose from dozens of colors and types of calfskin or alligator. The JAKEe 6 in 1 Strap System is just that, 6 different straps in one. 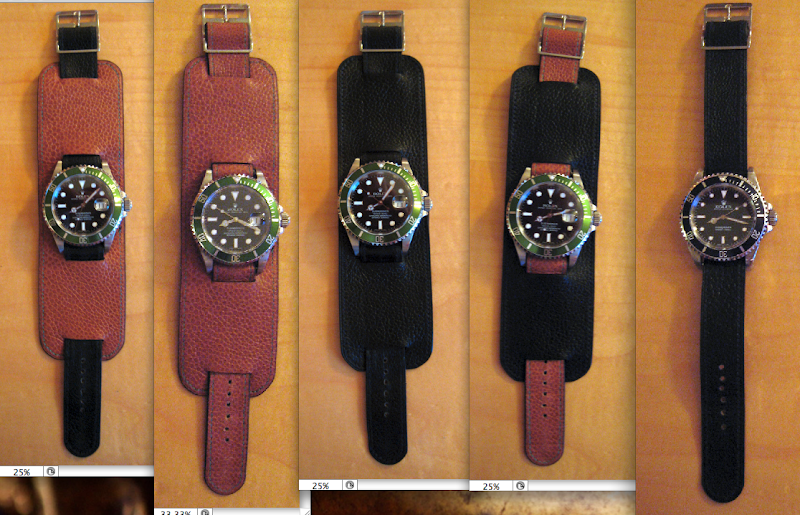 The following 6 photos are of the EXACT same wristband, configured differently. Each 6 in 1 is custom made to fit your wrist and your watch and you can choose from 34 different colors and finished of calfskin leather. You can also choose the color of the stitching on each side. In the first photo we see the brown side with green stitching. 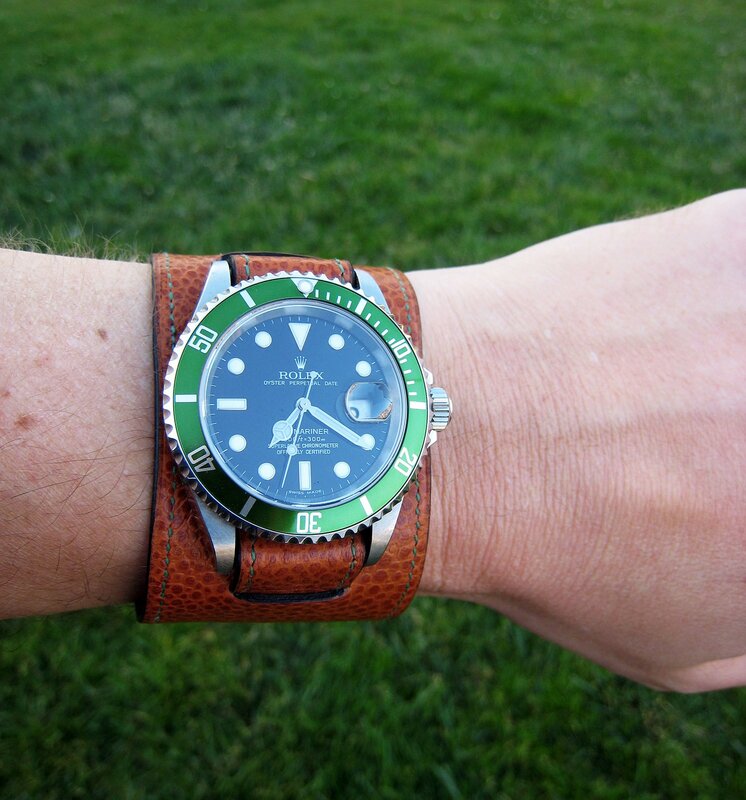 The green stitching was chosen to match the LV green bezel. If we reverse the strap by flipping is 180 degrees we see the other side is black with black stitching. 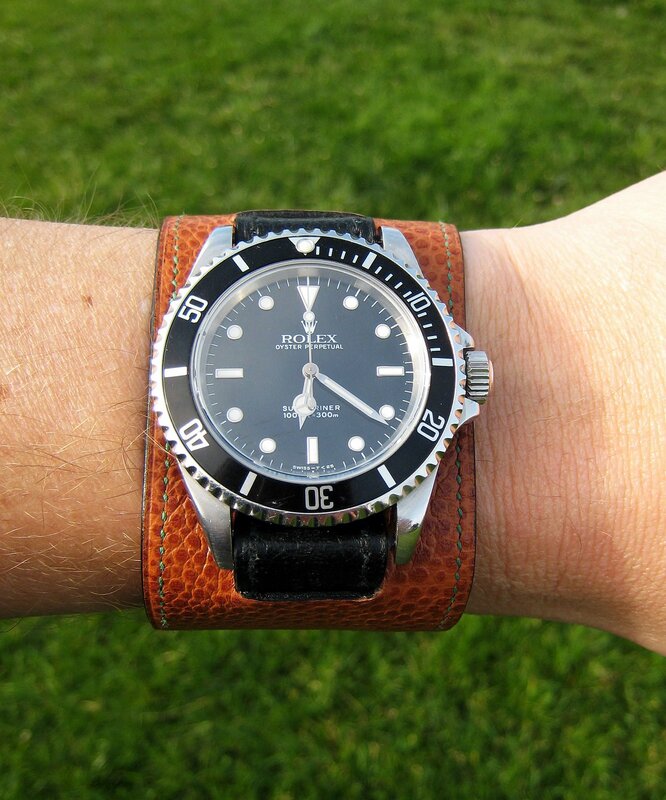 Just to be clear, the leather wristband in the photo above is the EXACT same one as in the photo below–simply flipped around. 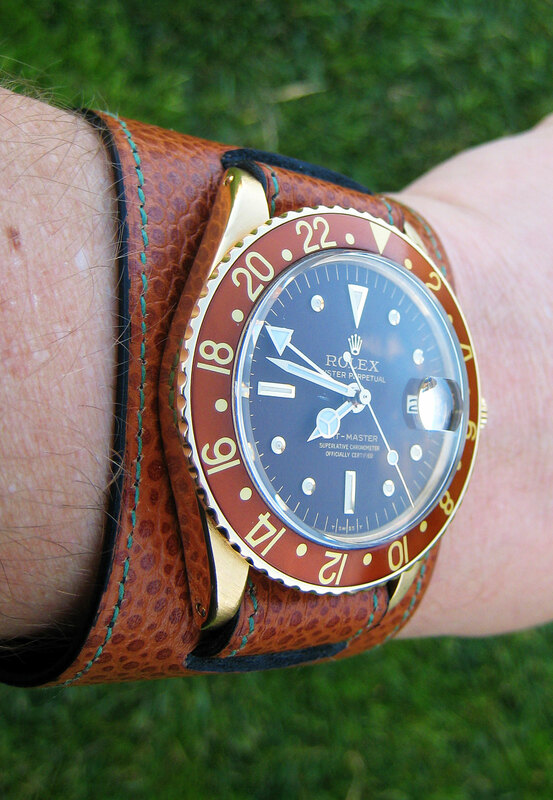 This next image has a standard no-date Submariner on the same strap, with the black fatstrap and the brown slimstrap. Once again, for the sake of clarity, this is the EXACT same strap as seen in the two photos above, it is just configured differently. In this next photo, we reverse the fatstrap and slimstrap to get the exact opposite look. 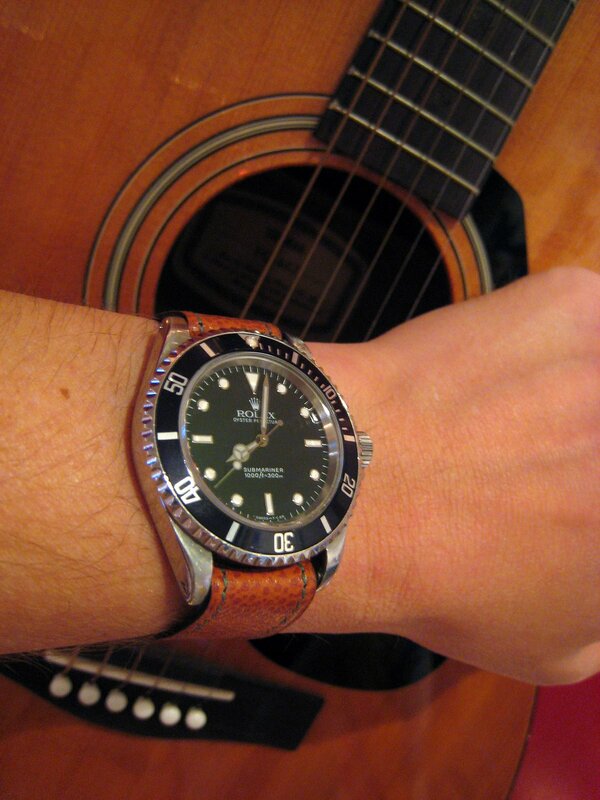 Once again, this is the exact same strap as in the photos above, just configured differently. 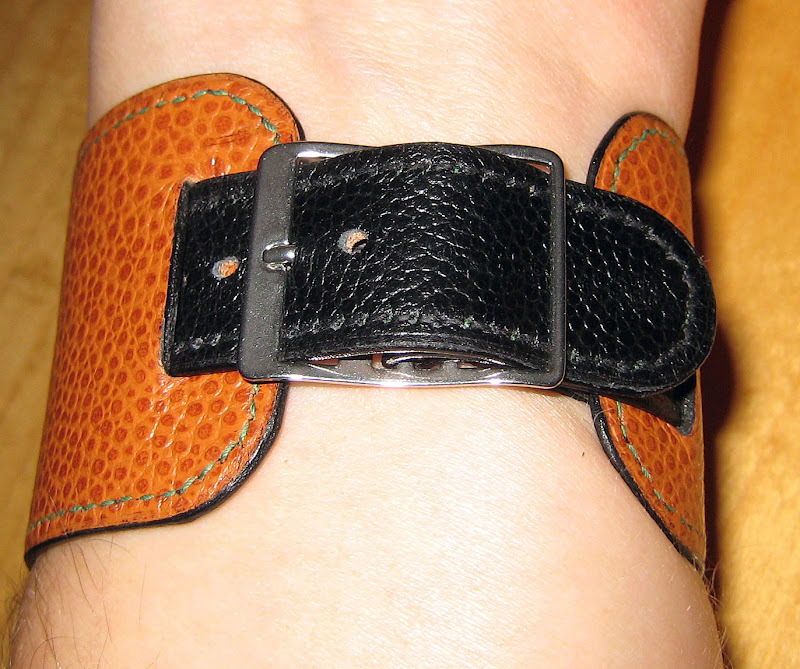 In the next two photos we see the slimstrap being worn by itself with the fatstrap removed. 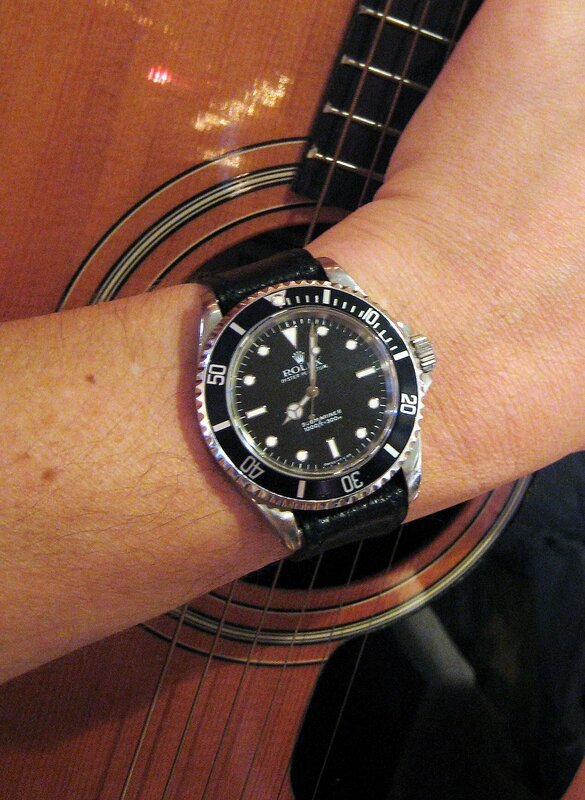 Once again, just to be clear, the strap in the photo above and below is the exact same strap, just reversed. In other words, it is black on one side and brown on the other. 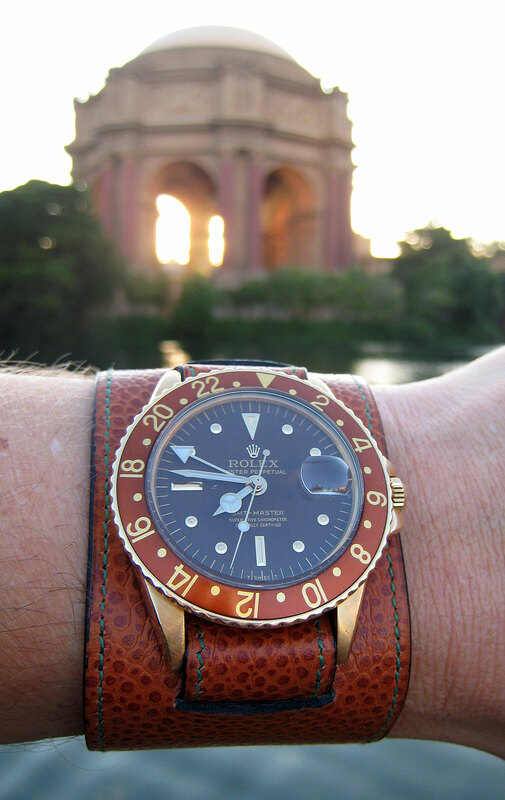 The next three photos are of the exact same strap as in the story above this one, it just has a different watch–Seth's yellow gold vintage Rolex Mocha GMT Master. This is an amazing color combination!!! One of the beauties of the 6-in-1 modular system is you can change the watch, without a tool in less than 10 seconds!! !